To coin a Meowma statement: Epicly Epic! Hannah and Holly are busy rubbing themselves around on the rug with the catnip that Mikey and Izzy gave them for Catmas. They also play with their new dangle toy, especially at night when their Hoomans are sleeping. Thank you Mikey and Izzy for the catlicious/batdangling Catmas presents! Thx, jbeagles1! 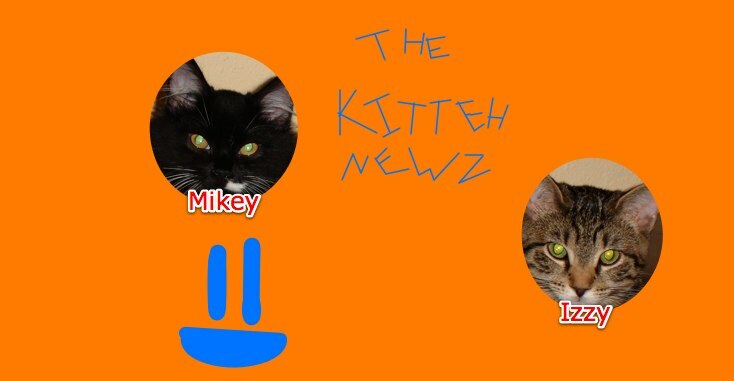 We iz glad dat ur kittehz like teh katnip n dangley toi dat we gavez dem.